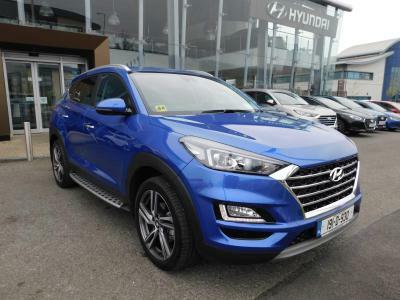 Perfect for any business the all new Hyundai Tucson commercial is now available at Michael Barrable Hyundai Dublin. With prices starting from €24,222 ex vat there has never been a better time to drive the Tucson. The bold yet elegant design gives your business the perfect appearance on the road. Equipped with the latest technology, the all new Hyundai Tucson allows you to stay connected with a peace of mind ensuring you make those important meetings in time and take those vital phone calls safely on the road. The Tucson includes Hyundai's latest advanced 4-wheel drive systemic transmission, giving you advance traction cornering control (ATCC) and the latest 4WD engineering - maximising performance and safety even in the most extreme conditions. Hyundai have also included a number of additional safety features including their newewst VSM system (Vehicle Stability Management), ESP (Electronic Stability Programme, DBC (Downhill Brake Control) and HAC (Hill Start Assist) . If you have any questions you can call Michael Barrable on 01 8833300 or use the “Contact Us” form below and one of our friendly staff will be happy to help you. You can also drop into our Hyundai Dealership where you can browse the Hyundai commercial range and choose the best option for you.